Mayor Anthony Silva was arrested this morning at the Stockton Youth Camp at Silver Lake in Amador County. Arrested by San Joaquin County Sheriff deputies, he is being held at the Amador County Jail. Charges allegedly involving minors came from seizure of his cell phone at an airport in Stockton several months ago. The alleged charges are from August of 2015. Kate Wooster Brooks won Best All-around Cowboy for the Calaveras County Fair and Amador County Fair for 2016. 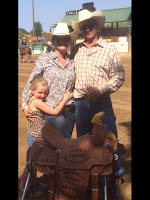 In the photo is Kate, her daughter Bretta and her sponsor Seth Seever. August 4, 2016 at 9: 45 AM: The fire department is responding to a call about an encounter with a rattlesnake on Willow Creek Road near Mountain Ranch Road in San Andreas. 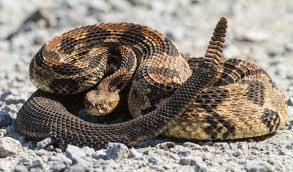 The is the time of year for rattlesnakes to be active, so be cautious and watch your pets so they won't be bitten. UPDATE: The fire has been extinguished. They are investigating the cause. A man playing Pokémon in the Clearlake area discovered a body in a field not far from his home. The body was that of a woman. Her identity has not yet been released. UPDATE: No injuries are indicated in this crash, but one lane is blocked. August 4, 2016 at 7:50 AM: A traffic collision has been reported on Hwy 4 at Obyrnes Ferry Road in Copperopolis. An ambulance and tow truck are responding. CHP is at the scene. Be extra cautious if headed that way. 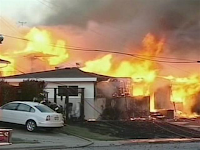 The $562 million fine imposed on PG&E due to the devastating gas pipeline explosion in San Bruno isn't fair, according to the judge in the court case. If convicted, they will only pay $6 million in fines for the eight deaths and 38 homes destroyed, plus apparently obstructing the investigation.